Design in Action is a weekly column by Retronauts host Jeremy Parish that explores games both new and classic, analyzing the way their various moving parts work together to make them great. This month, the subject is Fumito Ueda's long-awaited adventure The Last Guardian. 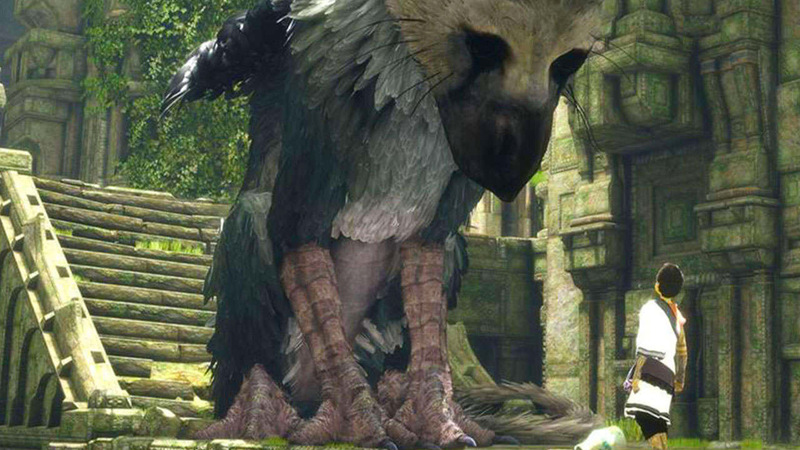 We may never know why it took such a long time for Fumito Ueda and Sony Japan Studio to finish The Last Guardian, or why the game lingered in development for so many years that it arrived a console generation later than its originally announced PlayStation 3 home (or a generation and a half, depending on how you regard the PS4 Pro). Maybe it was because of an artistic struggle. Maybe because of technical challenges. So far, no one has said. Anyway, video games — especially ambitious ones — get delayed all the time. It simply comes with the territory. And even though Sony Japan Studio constructed The Last Guardian out of building blocks that Ueda developed in the course of creating his two prior works (Ico and Shadow of the Colossus), even though the game looks at a glance like nothing more than those two games smashed together, in truth it revolves around an inversion of their basic concepts, and that's not an easy thing to accomplish. The Last Guardian upends decades of video game rubric, and it does so in such a subtle way that you may not even notice. In short, Ueda's latest creation asks something bold of players: It demands they give up control. This is not how supposed to be how video games work. Sure, there have been games that give players little control as a matter of design; visual novels are basically, well, novels, and consist of nothing more than reading text outside of occasional choose-your-own-adventure decision branches. And certainly many games have required people to function more as observers than players, as with artificial-life pet simulators. The Last Guardian does something significantly different than that, however. It casts the player as the "hero" and involves undertaking a great many action game standards. You scramble across impossible footholds over chasms with no visible bottom, solve puzzles, and ultimately save the day. But the process of journeying from beginning to conclusion often involves accepting an unorthodox demand for a video game: A profound sense of passivity. It's not simply that The Last Guardian makes players give up control of the protagonist's actions; it's that the game takes control within the context of the action. This is something different than a series of cutscenes, or a string of quick-time events. The game features numerous navigational puzzles in which the young boy whom players guide through the adventure finds himself too weak or too diminutive to solve on his own. Impossibly high leaps, deadly scrums with mobs of armored automatons, and other situations arise throughout the game that the boy can't resolve himself. In these situations, it's down to his bestial companion, the huge griffin-like creature Trico, to sort things out. But while Trico will always resolve a situation in more or less the same fashion every time, its actions aren't fully scripted, and there's no obvious, video game "tell" for when you need to rely on Trico. Aside from an annoyingly persistent control tip overlay, The Last Guardian doesn't guide you with glowing objects or a Batman-like highlighted vision mode. You have to learn to intuit when you can complete an objective under your own steam, and when you need to look to Trico to step in and solve things for you. You have to ease into the habit over the course of the game. Trico doesn't take its own initiative at the outset of the quest, but as the complexity of the in-game puzzles grows, so too does your reliance on Trico. In raw mechanical terms, this simply reflects a team of level developers making increasingly diverse use of the tools and tasks available to them. But in no way does the game present it in such stark, functional terms. Rather, it's written into the quest as an unfolding relationship between the boy and the beast. Of course, this being a video game, this is entirely a matter of artifice: The turning points in the interplay between the two characters were scripted well in advance and will always happen the same way at the same points in the adventure. Trico, convincing as it may be, isn't a true case of artificial life. 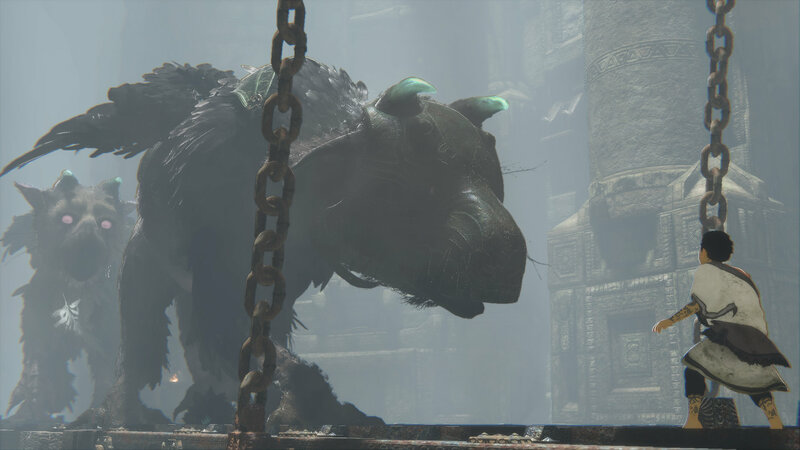 That doesn't really matter, though; The Last Guardian tells a story — Fumito Ueda's story — and it invites players to participate but not to commandeer the story themselves. On the contrary, at many points throughout the game, you lack any real agency to influence events that unfold around you. They're too big, too dangerous, and it's only through the loyalty and courage of Trico that the journey doesn't end there. Tagged with Adventure,	Articles,	Column,	Design in Action,	Fumito Ueda,	PlayStation 4,	Sony Computer Entertainment,	The Last Guardian,	USgamer. Even barely over a year past its release, The Last Guardian lives in Shadow of the Colossus' shadow now more than ever.